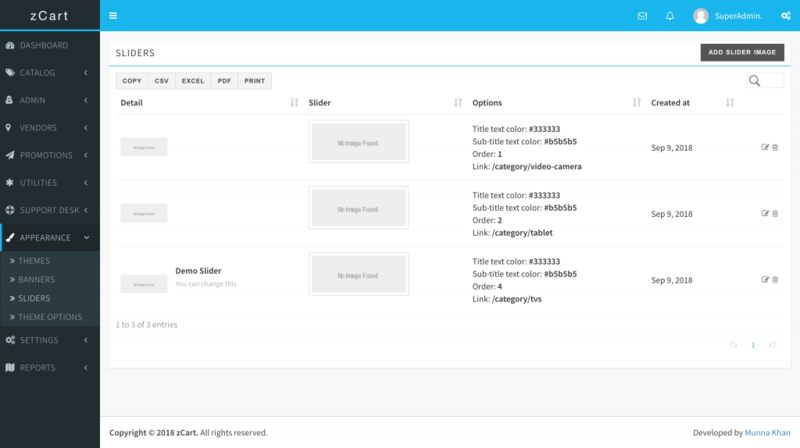 In this section, you can create and manage primary storefront sliders. The slider image size should be 1280px in width and 300px in height to well fit with the theme. You can add two lines of text as a title and sub-title, set text color. The slider is clickable and can be linked to any page or category inside the marketplace. You can set the display order to control the viewing sequence.